A sampling of our continuing efforts to promote sustainable fisheries and support local communities. Minimizing incidental catch species, while fishing for Alaska pollock, is among our top priorities. 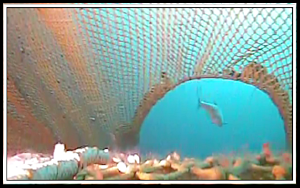 In the picture shown above, is a salmon escaping through a specially modified hole in the net called a salmon excluder device. Continuing development of underwater cameras allows vessel operators to identify salmon catches and escapement in near real time. Salmon also have a pineal gland that makes them light sensitive. The Pollock Conservation Cooperative has invested heavily in research dedicated to salmon behavior and their attraction to light. Using prototype “salmon lights” seen below, preliminary results have yielded successes in using light to attract salmon to escape the trawl via the salmon excluder apparatus. Ongoing research and at-sea trials have achieved up to a 45% reduction in the number of incidentally caught salmon in the trawl net. Contact APA to learn more about our work to further refine fishing techniques and fishing gear. Giving back by donating and serving the underprivileged community of Seattle and Anchorage is something we make sure to do 3x a year. Each Member company and sometimes Associate Members take turns serving lunch with us. APA members donate more than 1 million seafood meals each year to hungry Americans through its Community Catch Program. The Community Catch initiative expands a long-standing commitment by APA companies to provide this important protein source to local and national food bank programs. APA operates its seafood donation program in partnership with Sea Share. APA members in 2000 formed a partnership with the University of Alaska/Fairbanks School of Fisheries and Ocean Sciences to create the Pollock Conservation Cooperative Research Center (PCCRC). APA member companies donate $1 million each year to the Research Center. The money is used to fund a wide range of research projects that enhance understanding of the Bering Sea ecosystem, including climate change and regime shifts, marine mammal studies, and the impacts of commercial fishing on the marine environment. APA member companies have supported students and faculty in the marine science department at Alaska Pacific University for more than a decade. The dedicated Fisheries, Aquatic Science and Technology Laboratory has developed to meet the specific research, and fisheries management needs in the North Pacific by strategically leveraging partnerships among industry, academia and governmental organizations. The graduate student opportunities available through Drs. Brad Harris and Nathan Wolf are world-class. For more information on ongoing research projects or collaborative opportunities CLICK HERE. NACTEC is a joint-venture regional vocational training center located in Nome that was designed to provide public high school students with the necessary resources and skills for employment opportunities, the pursuit of postsecondary education, and independent living skills through instruction in four focus areas: career and technical skills, career exploration, life skills, and work readiness skills. APA member companies proudly contribute annually to promote future fisheries career tracks among high school students. 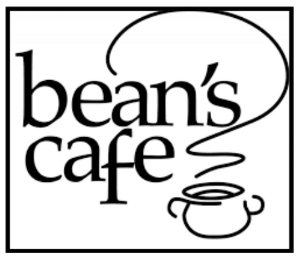 CLICK HERE to link to their website. The mission of the Consortium is to undertake a long-term research program on the relationship between fisheries and marine mammals in the North Pacific and the Eastern Bering Sea. For more information on their ongoing Steller sea lion and northern fur seal research CLICK HERE. *This effort is entirely donated with work and efforts done at no charge. The Alaska pollock is used by researchers for sea lion feeding studies, and is also enjoyed by seals and other marine creatures that call the Center home.